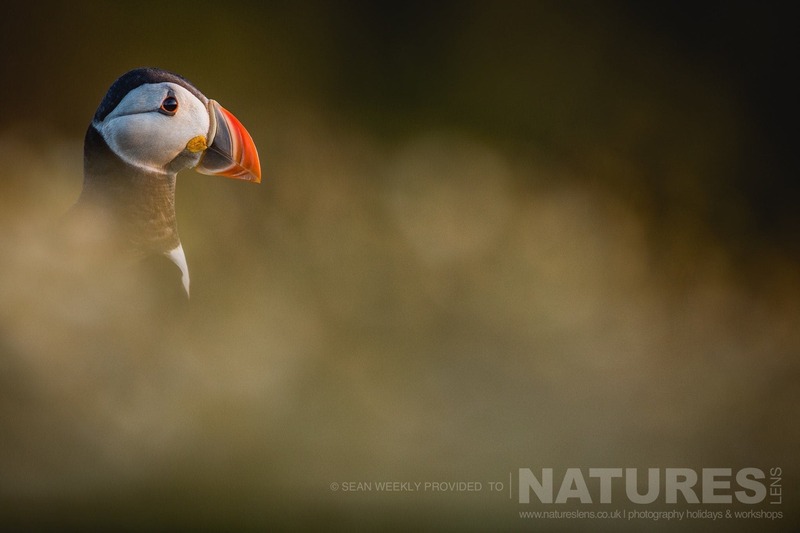 July was my second Puffins of Skomer Island Photography Holiday of 2017 for NaturesLens. This time I was to be co-leading the trip with the talented Kevin Morgans. 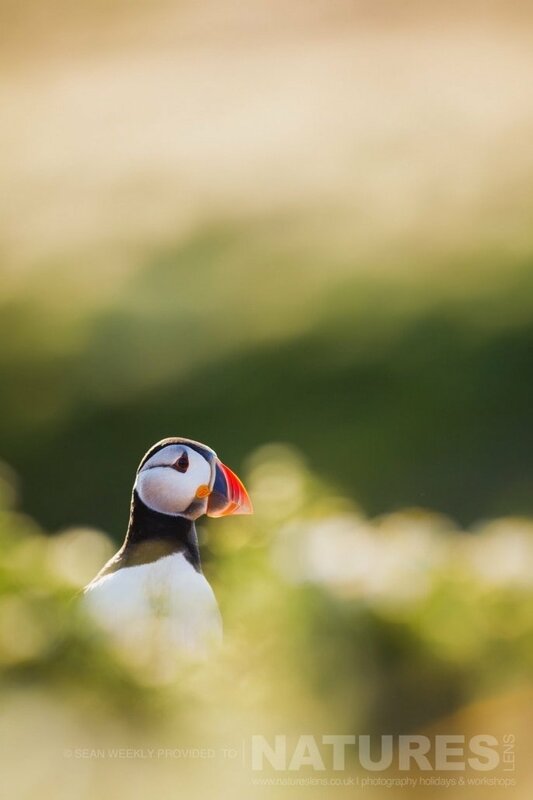 He has a wealth of puffin photography experience so I was sure that it was going to be another amazing trip. The trip for me started off at Gatwick airport. 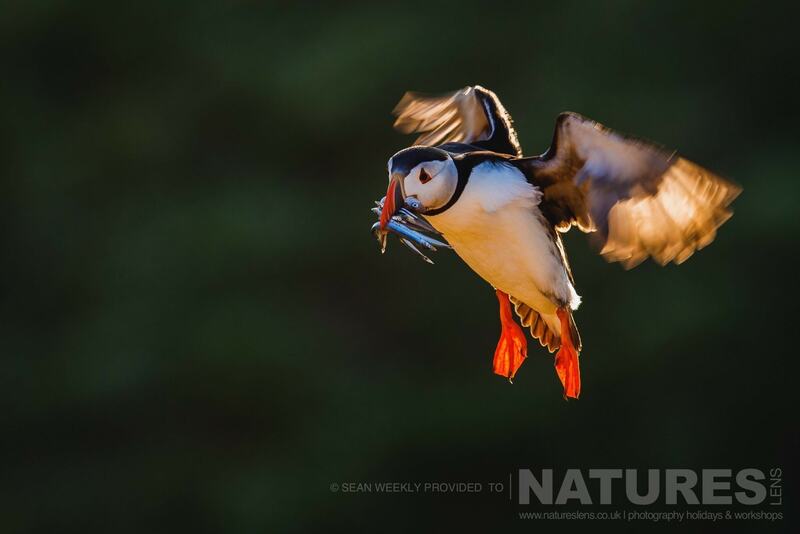 I was collecting a guest – who will be contributing his own Puffins of Skomer blog, I understand – Csaba, a long-time friend of David & Pui Hang, who was flying over from Hungary just to come & photograph the Puffins! It was great to have some company during the long 6 hour drive from Kent to the South West of Wales. 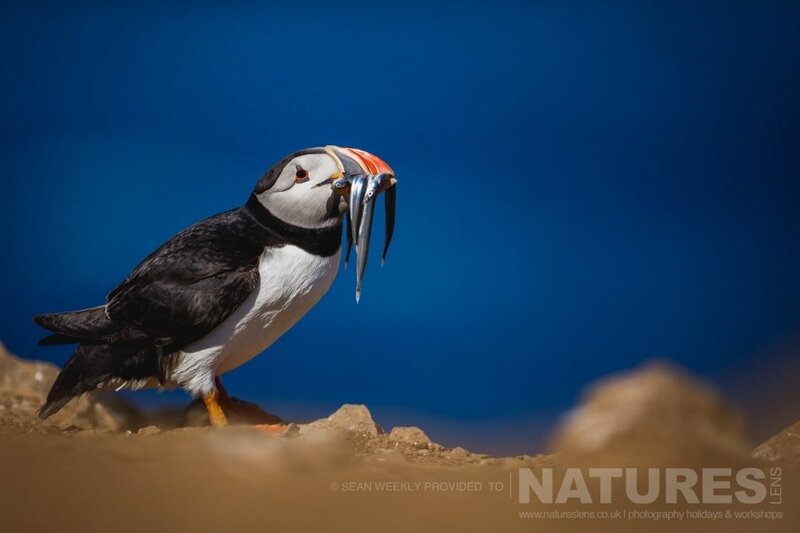 Kevin & myself met the rest of the group the following morning at Martins Haven which is where the boat departs from to Skomer Island. After a meet & greet everyone loaded their bags & food supply on the boat & off we went. The weather forecast on arrival was not that great at all, Thick sea mist & heavy rain. Typical British summer weather! Once everything was unloaded from the boat the group all made our way to the farm house which was going to be our home for the duration of the trip. Kevin & myself then gave a short briefing to the group asking what images & photography help they wanted to get out of the trip. 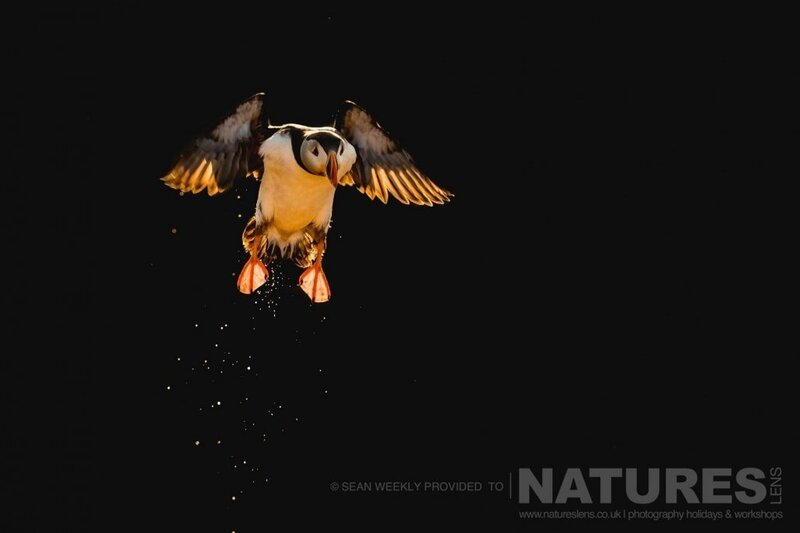 I would say around 90% of the group wanted to learn or improve their bird in flight photography & also wanted to learn how to get a Puffin in flight with a very dark background. It is always useful when a big group of guests want to achieve the same thing, as allows us as guides to group people up to teach them all the same thing. Although the weather on the first day was somewhat wet, the rain had cleared by the late afternoon. It was a very cloudy evening, however this was going to be the perfect time for the group to practice their in flight photography skills, in preparation for the better weather that was forecast for the next few days. 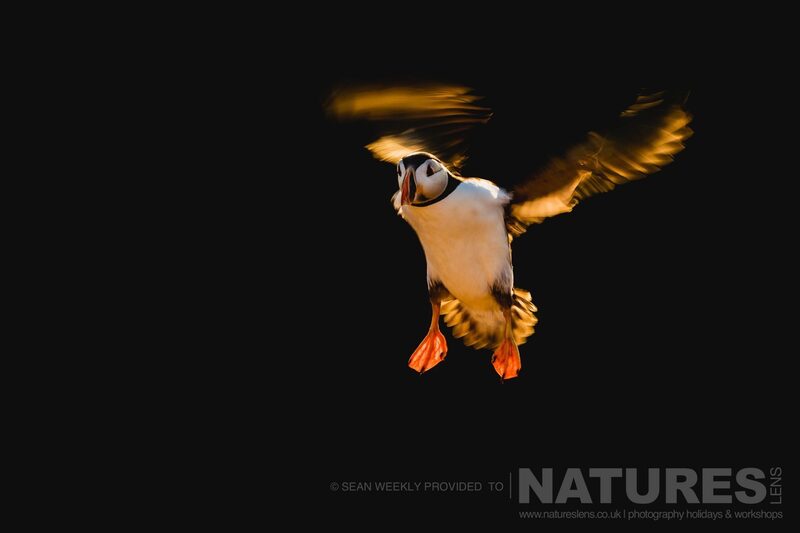 After the first evening the group were already achieving some lovely in-flight shots of the world-famous Puffins of Skomer. 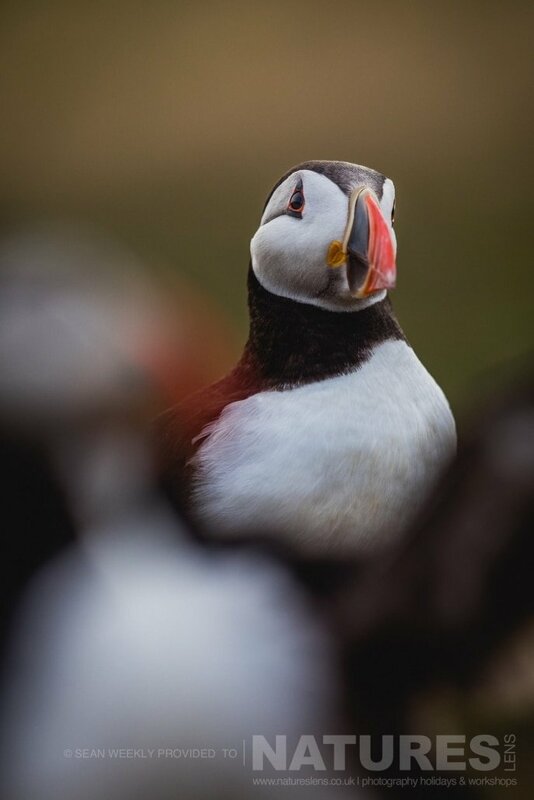 The next morning we were all up early for sunrise & headed down to an area on the island known as ‘The Wick’ which has a huge Puffin colony. The morning was spent concentrating on some nice portraits until the light became too harsh. That evening the forecast looked great & we were due a clear afternoon & evening. After everyone had eaten their dinner we headed back to ‘The Wick’ for what was going to be a great session. This was the perfect opportunity for the group to get those stunning backlit inflight shots that they all had wanted & as some of the guests had been practicing the day before & that morning they had the knowledge & practice to achieve some lovely photos. I have to say that I thought it was rather lucky that this specific Puffin was coming to land after returning from fishing so as it flapped its wings on landing I got a lovely splash of water – this was my favourite shot from the evening session. 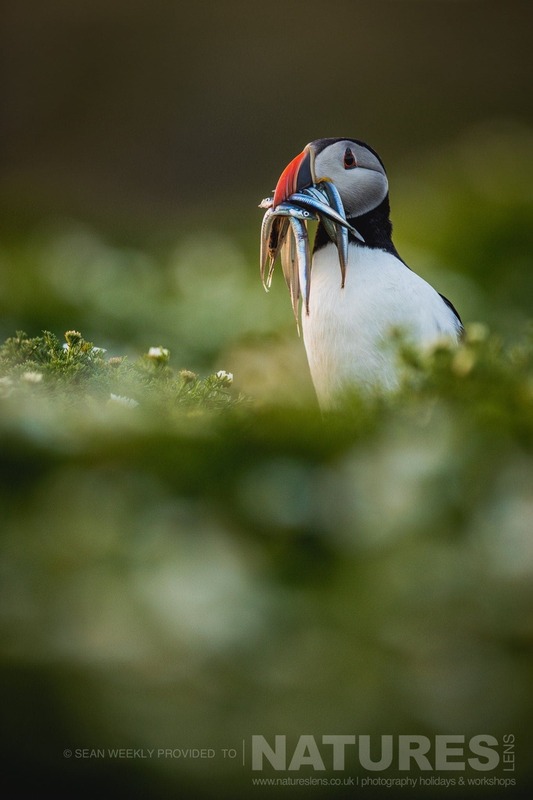 Skomer to me is one of my all time favourite wildlife locations & to any one who is still thinking about whether they should visit next year I hope these images persuade you to pay this beautiful island, & the Puffins of Skomer, a visit! 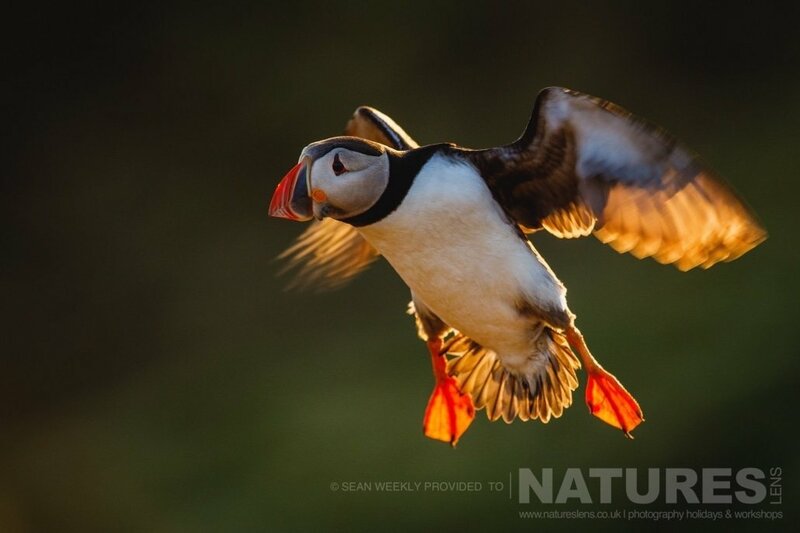 WOULD YOU LIKE TO UNDERTAKE PHOTOGRAPHY OF THE PUFFINS OF SKOMER? 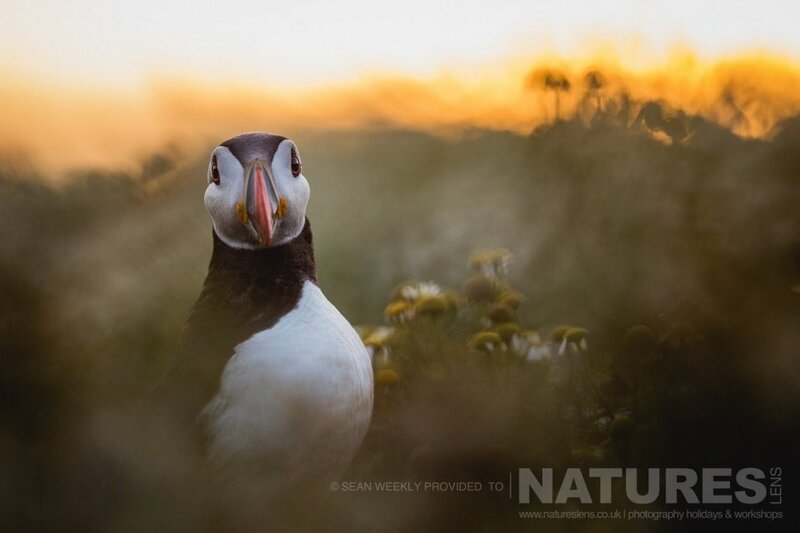 For 2018, NaturesLens have already announced a return to undertake photography of the Puffins of Skomer – the trip has been scheduled to start on June 30th & ending on July 2nd, 2018. 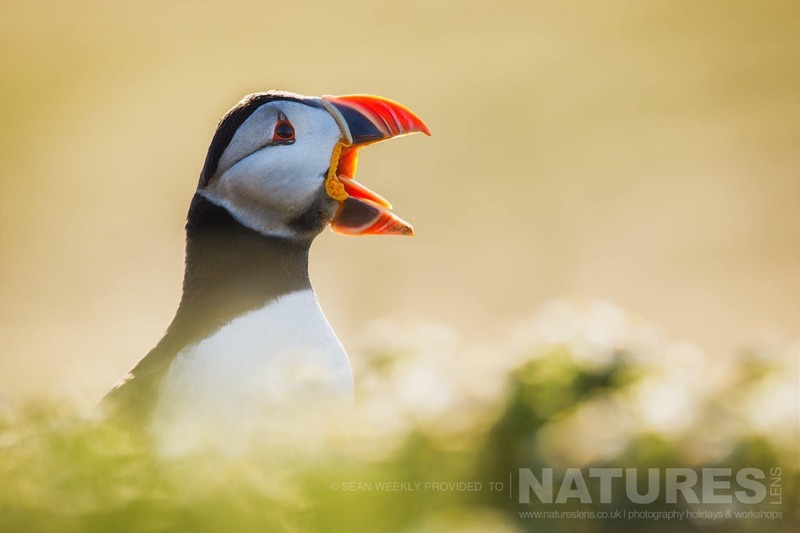 The Skomer Puffins Photography Holiday costs £499 each participant, this price excludes travel to Martins Haven itself – all food, accommodation & guidance/tuition during the 3 night stay on the island is included. 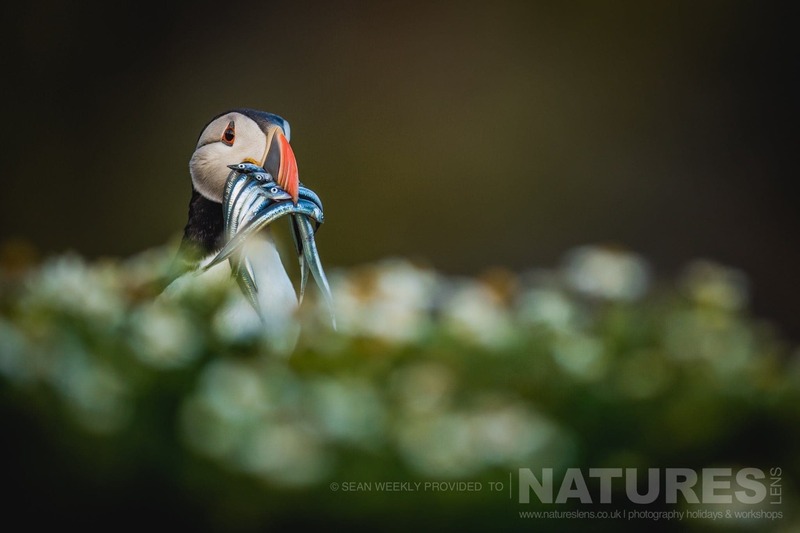 This entry was posted in galleries, photography holidays, uk tours, wales and tagged island, manx shearwater, puffin, seabird, skomer. 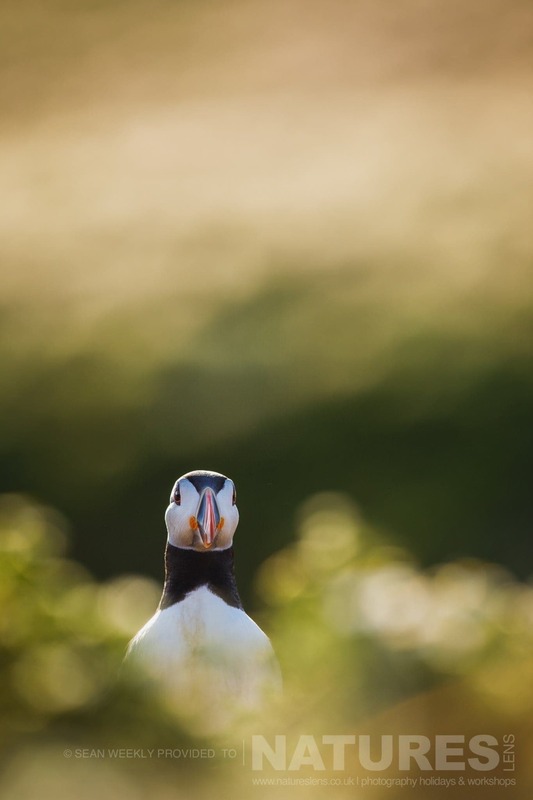 Whatever your query regarding our photography holiday, July’s Three Days with the Puffins of Skomer Island, please fill out your details below & we will get back to you.